I am available for in-person and Skype school visits. I know school budgets are tight, so I am offering free 30-minute Skype visits with any school. For in-person visits, the price varies depending upon travel, presentation type, and length of presentation. I can also plan my presentation according to the school district's curricular needs, so feel free to let me know what topics you'd like me to hit on in my presentation. View a sample presentation here. 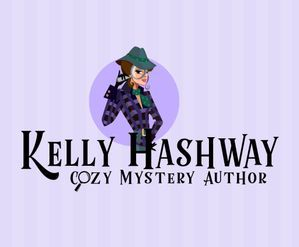 Join my VIP reader group, Kelly's Cozy Corner, for sneak peeks at my books, exclusive giveaways, and just to chat with me. Have a question, comment, or would like to order a signed copy of one of my books? Fill out the form below. I'll get back to you as soon as possible. *Due to GDPR, if you use this form to contact me, you are agreeing to allow me to store your name and email address in order to reply to your inquiry. No personal data will be shared or used for anything other than to reply to your inquiry.